Sheraton Albuquerque Airport Hotel combines the familiar comforts of home with genuine Southwestern hospitality. 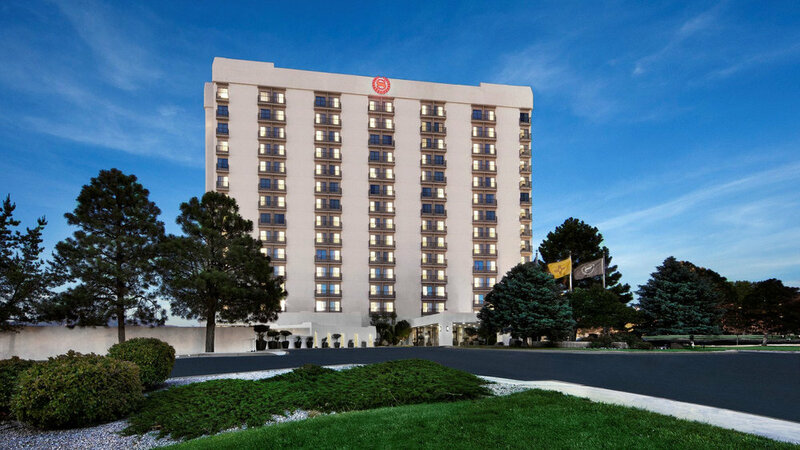 As the only full-service hotel located at the Albuquerque International Airport, our front door is just 200 yards from baggage claim - accessible by a marked walking path or complimentary shuttle running 24 hours a day. Boasting dramatic views of the Sandia Mountains and Rio Grande Valley, we are conveniently located near Historic Old Town, Nob Hill, University of New Mexico, ABQ Bio-Park, and several golf courses. With over 12,000 square feet of flexible meeting space, we welcome any size event. All meeting rooms feature High Speed Internet Access and the latest audiovisual amenities. We look forward to providing a warm New Mexico welcome at Sheraton Albuquerque Airport.